You’ll need to answer a few questions about the org you’re installing into. At this point you will need to sign into Salesforce. After signing in you’ll be prompted with the following screen where you can accept the Terms and confirm the installation. 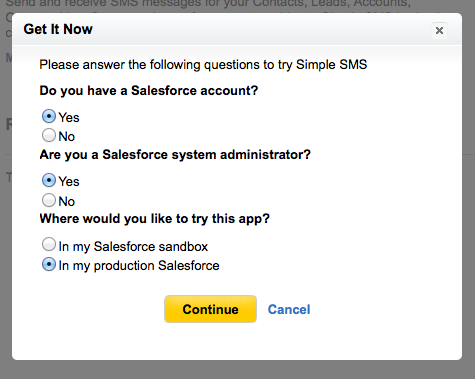 After clicking the Install button you will be prompted to sign into Salesforce again. Here you can review the contents of the package components. Click Continue to proceed. 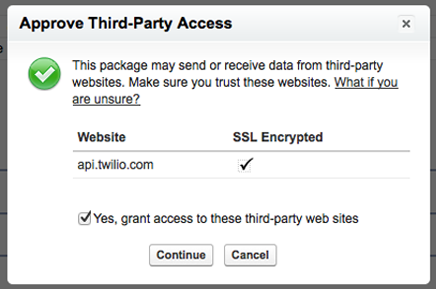 Simple SMS uses the Twilio API so here you’ll need to grant access and click continue. Click Next when you arrive at this screen. There are two profiles that come with Simple SMS. 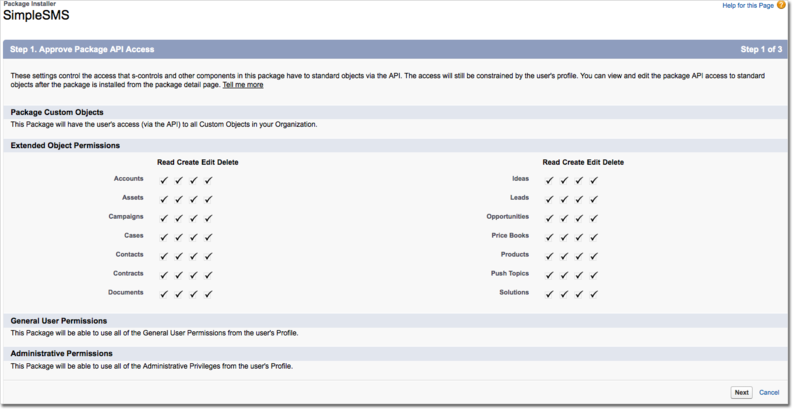 Most of your users will just need the Simple SMS Standard User profile. This gives them access to be able to send messages. 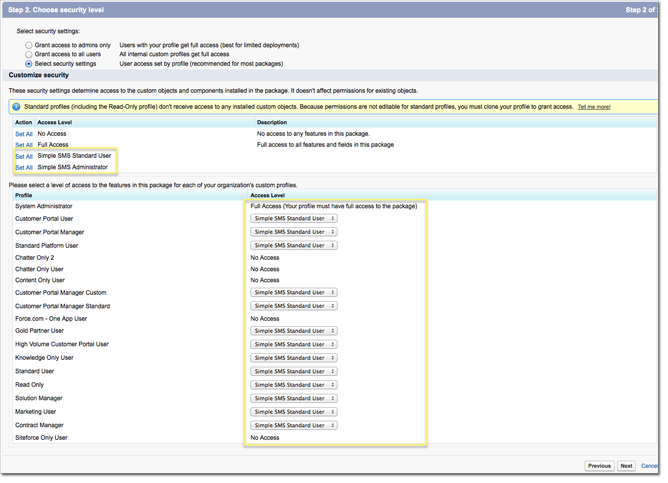 For any user who you want to be able to access configuration you will need to give them the Simple SMS Administrator profile. Now, you just need to finalize the installation by clicking Install at the following screen. You should see this screen when the installation is complete. Great! 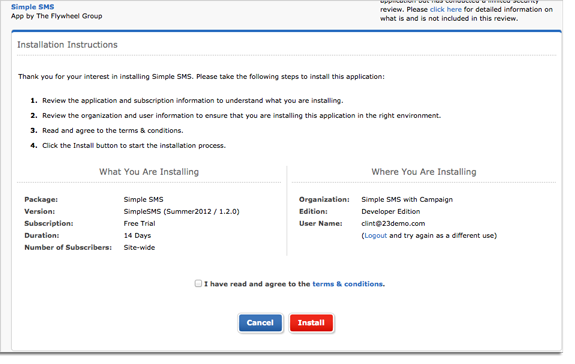 Now that you have installed Simple SMS you’re almost ready. Be sure to visit the Post-Installation page for instructions on what to do next.